Difficult to Diagnose Rare Diffuse Lung Disease presents the theoretical basis and practical aspects of differential diagnosis of rare lung diseases with the use of new method of probe-based confocal laser endomicroscopy (alveoscopy) of the distal respiratory region. Each chapter describes signs and symptoms of the disease and its typical and atypical manifestations. The book contains full color illustrations including high-resolution histological microphotographs, CT-scans and confocal laser endomicroscopy images. 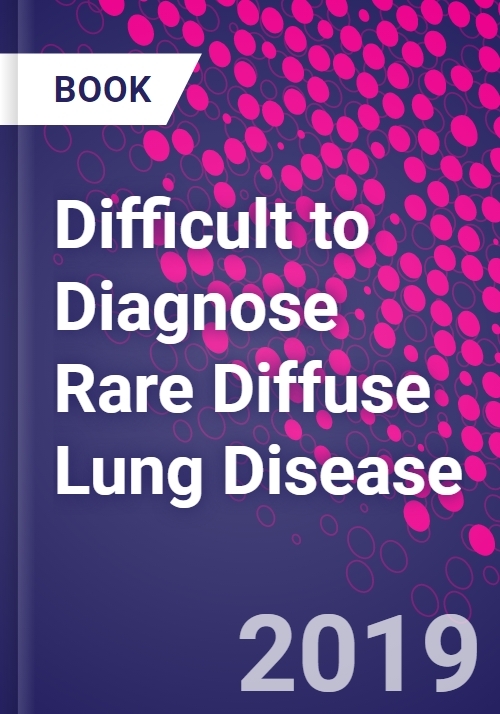 Combined these elements make Difficult to Diagnose Rare Diffuse Lung Disease an invaluable reference and guide for pulmonary researchers, pulmonologists, radiologists, and pathologists who wish to broaden their spectrum of knowledge in rare lung diseases. Professor Averyanov is the head of the Pulmonary Division and Head of the Biotechnology Department at the Federal Research Clinical Center FMBA of Russia in Moscow. He is a member of the European Respiratory Society, American Thoracic Society, and Presidium of Russian National Society on Regenerative Medicine. He has lead 17 Clinical and 3 experimental trials in the field of emphysema, COPD, ?-1 antitripsin deficiency, idiopatic intersticial pneumonias, lung cancer, systemic sclerosis, alveolar proteinosis and stem cells technologies.